In light of recent events, there are plans being drawn up for new drinking water fountains in London to cut the number of plastic bottles used. The draft London Plan, which is subject to public consultation, suggests new sites for parks and town centres. The report says that free fountains that can refill bottles and be used for drinking should be provided in appropriate locations. 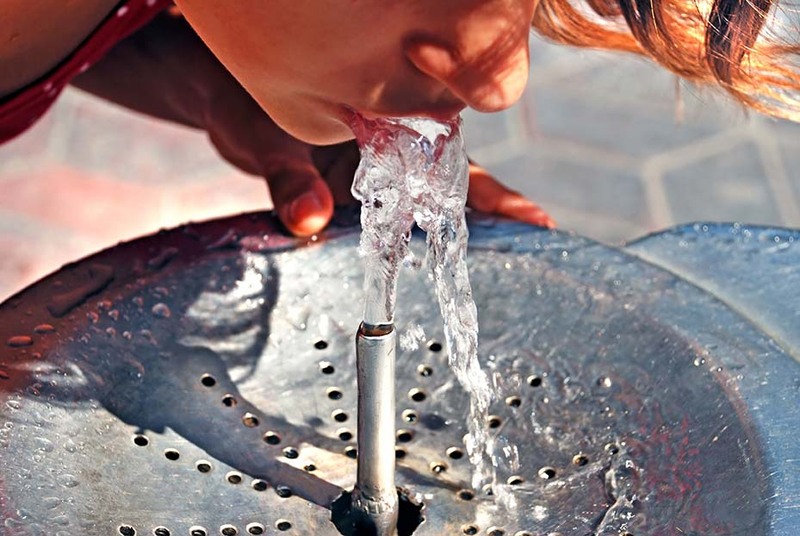 In an article written by the BBC it states that a recent poll by Keep Britain Tidy found only 7% said they drank from water fountains or public taps – while 55% were concerned about the cleanliness of public water taps, fountains and dispensers. As we can see, the amount of plastic used on a daily basis has become a world-phenomenon which we need to assess. Plastic is one the most harmful materials to the environment, especially to marine life. There are some concerns with regards to hygiene of the drinking water fountains which we can assure you are nothing to be worried about. Most drinking water fountains come equipped with a mouth and spray guard which means it prevents your mouth from getting too close to the sprout and prevents you from getting soaked in the process. The mouth guard merely needs a wipe down before and after use – which puts responsibility back on the user. If you have a tissue or clean cloth in your back pocket, be sure to give it a wipe before and after you use the fountain. This will ensure that it stays clean for you and the person after you to use.